This essential resource addresses a range of student wellness issues confronting professionals in college and university settings. Building on Wellness Issues for Higher Education, this latest volume comprehensively covers key topics that not only contribute to students’ success in college, but also help students maintain wellness after graduation. Taking a holistic perspective of wellness, coverage includes numerous issues, including body image, time management, financial wellness, dependence and recovery issues, career planning, and civic engagement. It also addresses ways of organizing campus efforts on wellness. Each topical chapter includes proactive wellness advice and prepares the reader to better understand the facts, issues, controversies, misconceptions, and strategies for addressing the issue. 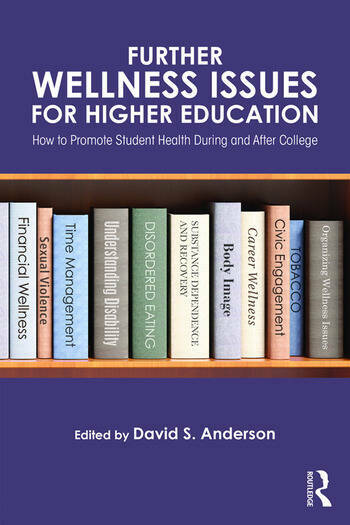 This practical guide prepares higher education and student affairs professionals to understand the wellness and health issues contributing to their students’ overall well-being both during and after college. Chapter 5: Time Management: Finding Balance To Do It "All"
David S. Anderson is Professor Emeritus of Education and Human Development at George Mason University, USA.